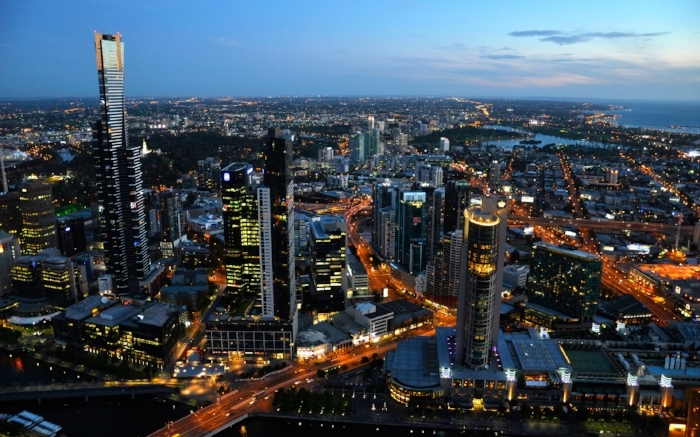 Melbourne’s top place ranking as per the EIU Liveability Index is a major accolade, and an ‘important selling point for the city internationally’ said the City of Melbourne’s mayor Robert Doyle. Doyle further stated “It is important for our city internationally; for businesses to invest or move here, for the best and brightest people to make Melbourne their home and for tourists to visit us”. The EIU’s report noted the ongoing threat of terrorism around the world had affected a number of scores, and that Melbourne’s relatively low crime rate sourced a major reason it outranked other high-performing cities, securing the top spot for a record seventh time. Let’s consider Time Out’s poll; which saw 15,000 people from 32 cities around the world asked questions related to their lifestyle habits and their feelings about life in their city. Questions ranged from how often they would go out to dinner, to how they’d rate their city for affordability, safety and even friendliness. The answers provided were then assessed across seven different categories; food and drink, culture, relationships and community, neighbourhoods, affordability, happiness and liveability. Among the cities surveyed, Melbourne ranked No. 4 overall, narrowly missing out to Chicago, Porto and New York. The one factor where Melbourne came out on top was ‘Happiness’, with almost 90 percent saying they enjoyed living there, and 2 out of 3 people saying they find it easy to make friends. Another major factor that catapulted Melbourne into fourth place was ‘food and drink’. As per the poll, 8 out of 10 Melburnians rated their local bar and food scene as outstanding, and almost 75 percent agreed that “there’s always something to do or see”. Comparatively, the story was not the same for Sydney, with the city finishing outside the top 10 (EIU Index) and 28th (out of 32) as per Time Out’s poll. The poll projected how locals were less than enthusiastic about the city’s eating and drinking options, its culture, its expense and its liveability. Looking at the specifics, only 37 percent of Sydneysiders had positive feelings towards the bars and dining scene, and less than 30 percent felt as excited about Sydney’s cultural offerings as Melburnians do. Melbourne has performed brilliantly in various respects over the course of the last two years. From the city’s property market outperforming that of all other capital cities for 3 straight quarters into 2018, to prices within Melbourne real estate outpacing a national average by almost 2 percent, and now to securing the top spot in the EIU’s Liveability Index; the city has positioned itself as one of the best in the world, and is showing no signs of slowing down. At Calla Property, we understand the significance of getting the location right when it comes to investing in property. Our research methodology, Calla Property Insights assists us in finding the best investment opportunities in the country. Considering factors such as economics and employment, supply and demand, population and demographics, and infrastructure spending, our macro research enables us to determine which geographical regions are forecasted to experience strong capital growth. Contact us today, to find out more about our investment options in Melbourne, and let us help you start Building Your Dreams. Contact us by calling 02 9016 2852 or book a Discovery Session HERE.